Only (loading) left to order your first MyBookBox! The image printed on this shirt is a high-quality reproduction of an original illustration, lovingly hand painted and hand lettered by BYKY Studios. This classic tee is so flattering! It is everything you've dreamed of and more in a shirt. It feels soft and lightweight, with just the right amount of stretch. It fits like your boyfriend’s t-shirt, but better! 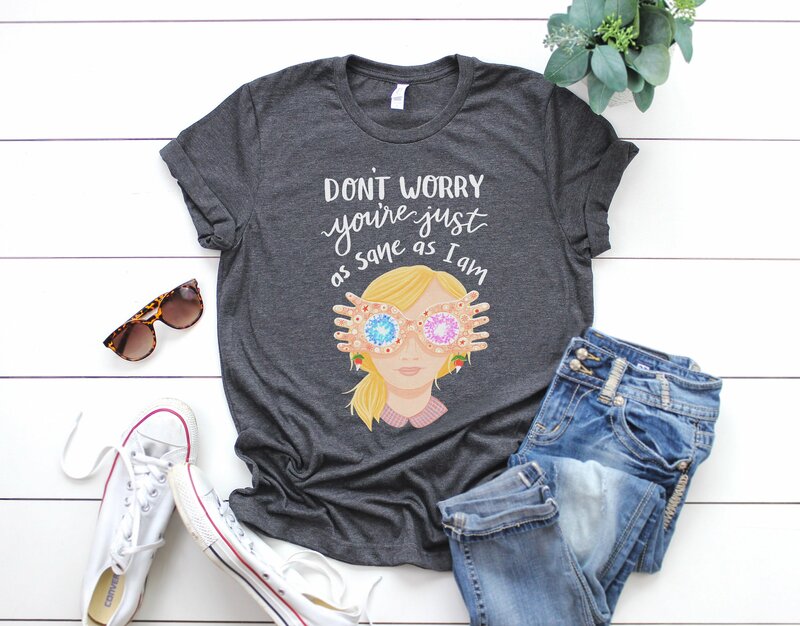 ** Though sizes are in men sizes, these unisex fit tees run true to size for women, so I recommend ordering in your usual size. If you prefer a roomier fit, I suggest sizing up.